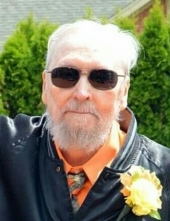 HARRISON, Raymond Earl "Ray" -- Age 81, of Durand, passed away on April 10, 2019 at Memorial Health Care, Owosso after a brief illness. Private services have been held. Pastor Todd Evans officiating. Arrangements provided by Sharp Funeral Homes, Miller Road Chapel, our temporary location at Hill Creek Church, 5363 Hill Rd., Swartz Creek, ( Mundy Township). Raymond married Barbara Frederick in Durand Michigan in 1962 and resided in the area his entire life except serving 3 years in the Michigan National Guard. He retired from GM after 30 years of service. He enjoyed his family especially his grandchildren who he dearly loved. Raymond leaves his wife, Barbara; sons, Jeffrey (Denise) Harrison of Virginia, Edward (Jen) Harrison of Webberville; 4 grandchildren; 3 great grandchildren and many friends. Tributes may be shared at www.sharpfuneralhomes.com. To send flowers or a remembrance gift to the family of Raymond Earl "Ray" Harrison, please visit our Tribute Store. "Email Address" would like to share the life celebration of Raymond Earl "Ray" Harrison. Click on the "link" to go to share a favorite memory or leave a condolence message for the family.